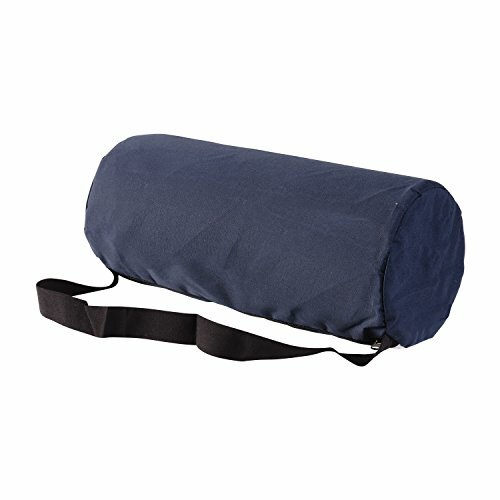 Your back will get the support it needs with this lumbar support cushion pillow. The foam gently hugs your back for maximum comfort. Just strap into any chair and enjoy the relief it provides in your home, office or car. Whether on those long car rides or during the work day, the elastic strap holds the pillow perfectly in place for those extended sitting periods. The removable polyester/cotton cover is also machine washable. Elastic strap firmly keeps cushion in place – great for office chairs! FOAM LUMBAR ROLL GENTLY HUGS YOUR BACK AND MAKES CHAIRS MORE COMFORTABLE. Size: 10.75 x 4.75 inches.